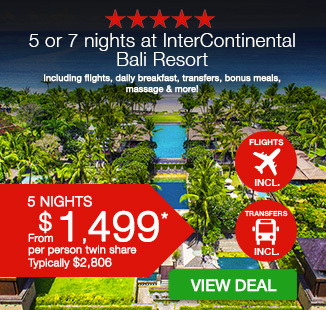 5 or 7 nights at InterContinental Bali Resort with flights, daily breakfast, transfers, bonus meals, massage & more! 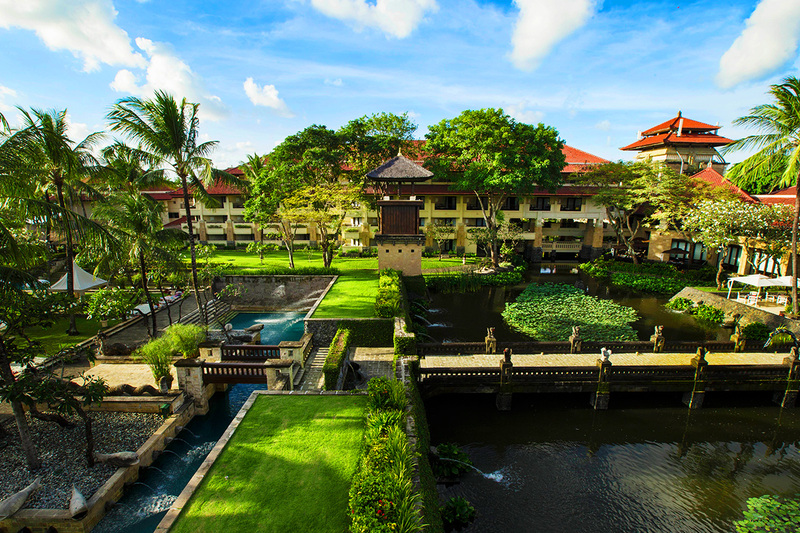 A vision of beauty, relaxation at utter indulgence, the 5-star InterContinental Bali Resort is everything you could want in a holiday destination and more. 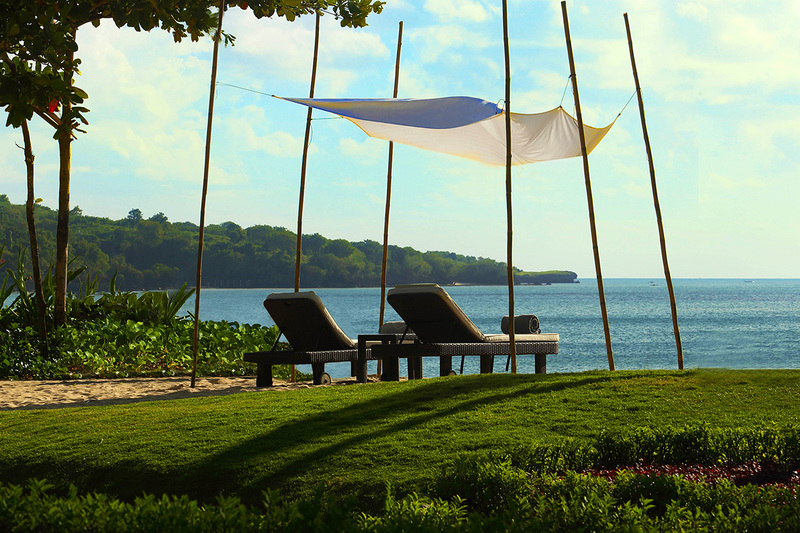 Perfectly located along a stretch of the pearl white sand of beautiful Jimbaran Bay, the resort is nestled within tropical gardens, providing a tranquil atmosphere to truly help you unwind. 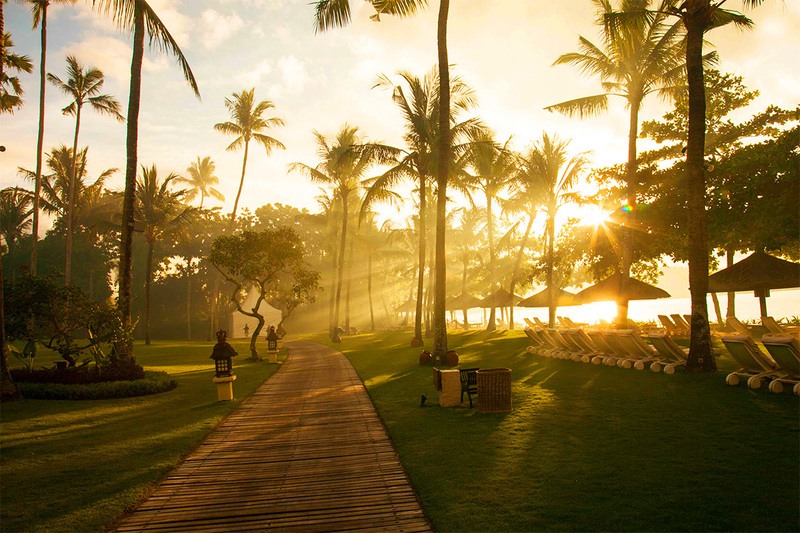 The resort is one of Bali’s most renowned properties, having won multiple international awards and boasting an exquisite reputation. The resort offers six swimming pools, day spa and beauty salon, tennis courts, water sports, 24 hour fitness centre and everything from romantic al fresco dining, seafood barbecues and chic indoor fine dining options. 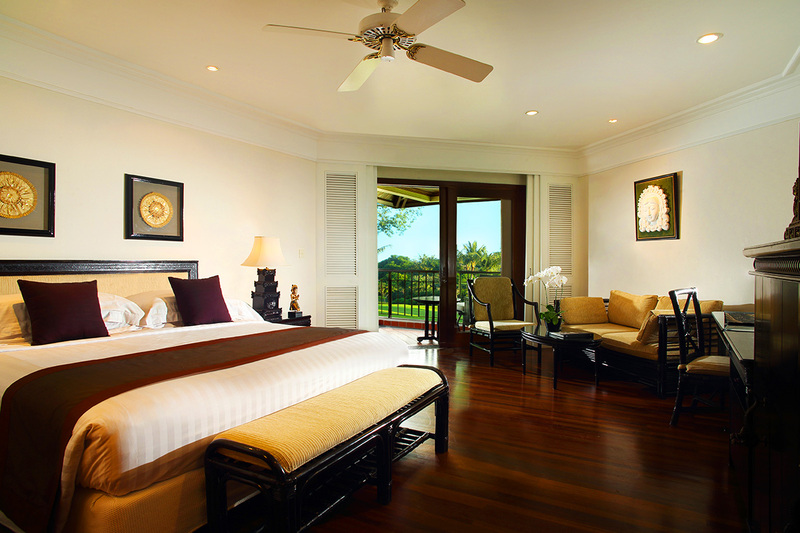 The Singaraja Room offers luxurious interior, 49sqm of space, marble bathroom and a spacious private balcony with unrivalled views of the resort’s tropical gardens, pool and lagoons. Black Out Dates: Some black out dates may apply. Please refer to the availability calendar. 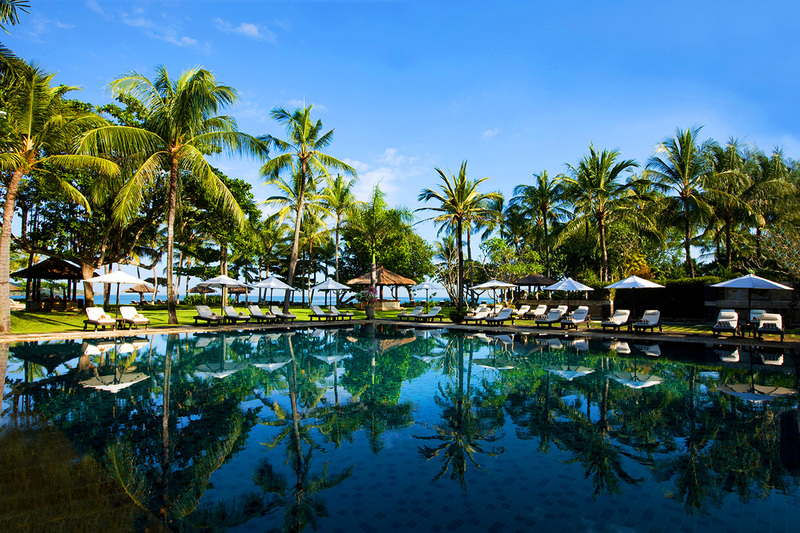 A vision of beauty, relaxation at utter indulgence, the 5-star InterContinental Bali Resort is everything you could want in a holiday destination and more. 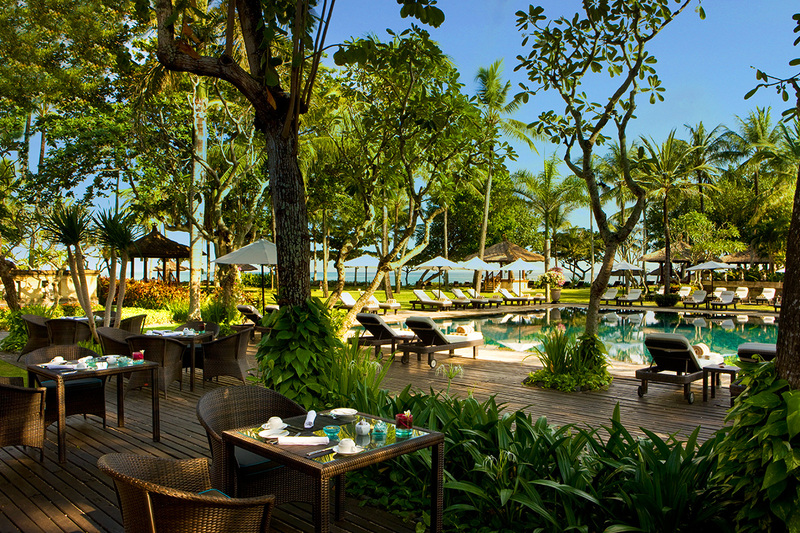 Perfectly located along a stretch of the pearl white sand of beautiful Jimbaran Bay, the resort is nestled within tropical gardens, providing a tranquil atmosphere to truly help you unwind. 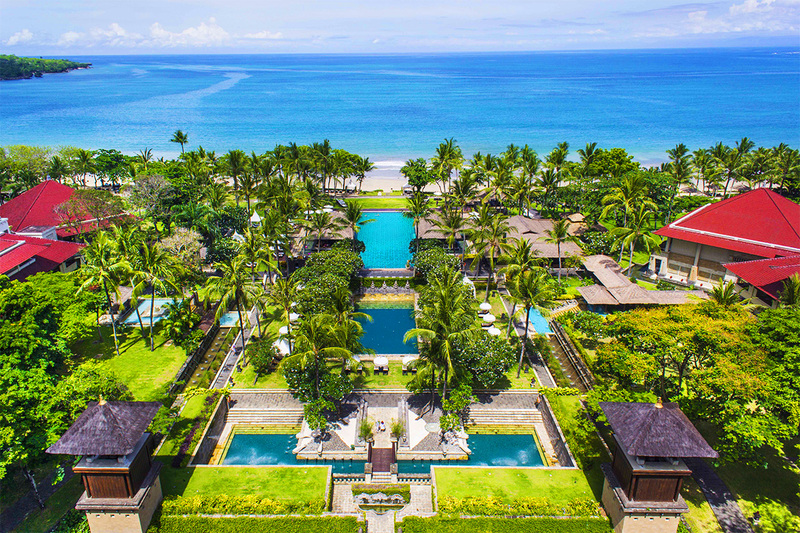 Typically $2,806 The resort is one of Bali's most renowned properties, having won multiple international awards and boasting an exquisite reputation. The resort offers six swimming pools, day spa and beauty salon, tennis courts, water sports, 24 hour fitness centre and everything from romantic al fresco dining, seafood barbecues and chic indoor fine dining options. 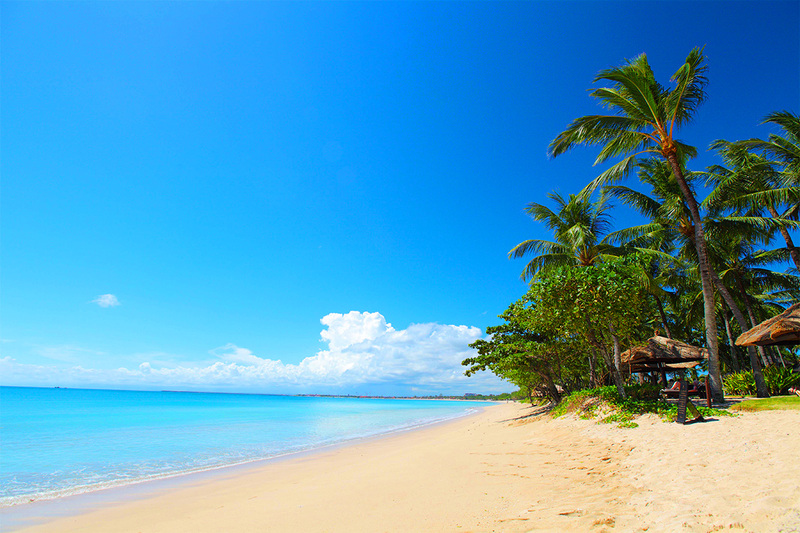 Your package includes 6 or 8 nights for couples or families, return international airfares, daily buffet breakfast, return airport transfers, massage, daily cocktail and more! 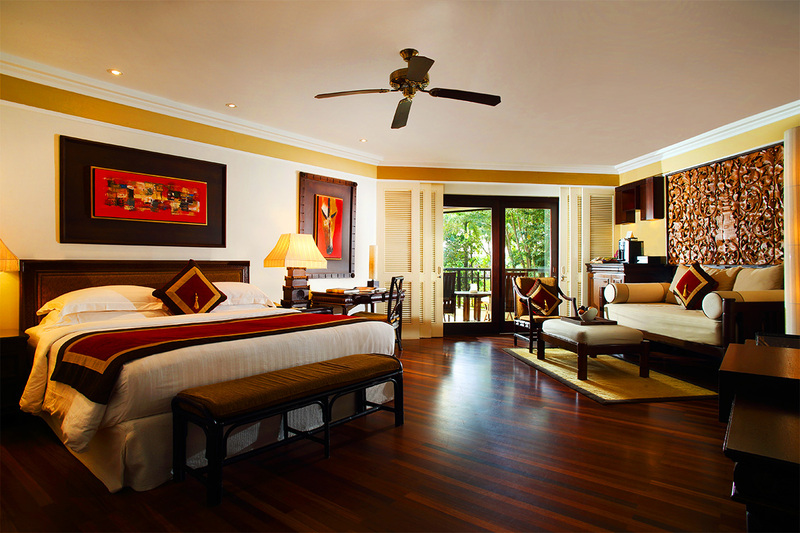 Your InterContinental Resort Bali getaway is subject to availability at the time of your booking. We advise you to book early to avoid disappointment.